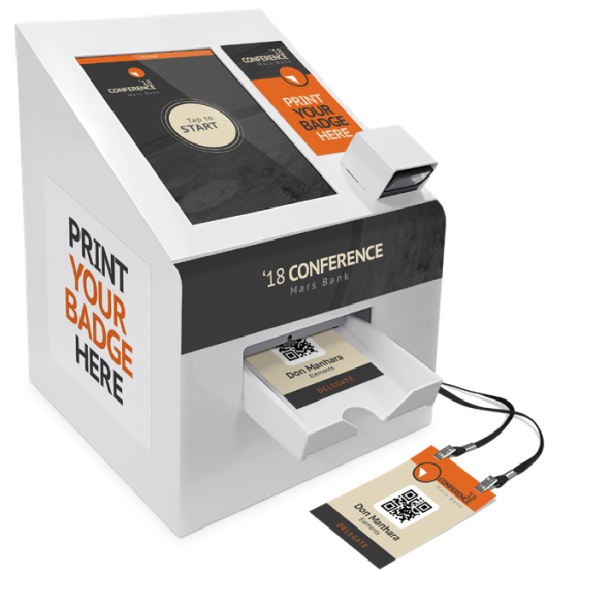 CrowdComms work with Sydney based events agency ThinkTank Media, who produce the highly regarded Corporate PA Summits and Corporate Health & Wellbeing Summits, to provide them with a badge printing solution that meets their event needs. Initially, while ThankTank Media were keen to utilise our Pronto! kiosks to streamline their badge-printing processes, they also needed the experience to be personal and welcoming for attendees. Cass Brownlow-Davies from ThinkTank explains why Pronto! was able to deliver. While CrowdComms Pronto! kiosks are perfect for processing large numbers of event attendees, it was clear ThinkTank needed something extra for their events. Streamlined processing was important but they needed to maintain attendee connection too. We discussed the different ways kiosks could be utilised to deliver what ThinkTank needed. Not only did the kiosks need to be functional, they needed to be transportable as ThinkTank hold events around Australia, New Zealand and the US. It became clear that our fantastic Pronto! Mini kiosks would be the right fit. Easy to transport, the Mini also suited ThinkTank’s registration set-up.